Before they can take to the skies, helicopter pilots in training must practice with a flight and tactical simulator—a machine that uses computer-generated images to mimic the view and experience of flying an aircraft. The more realistic the simulation, the better. 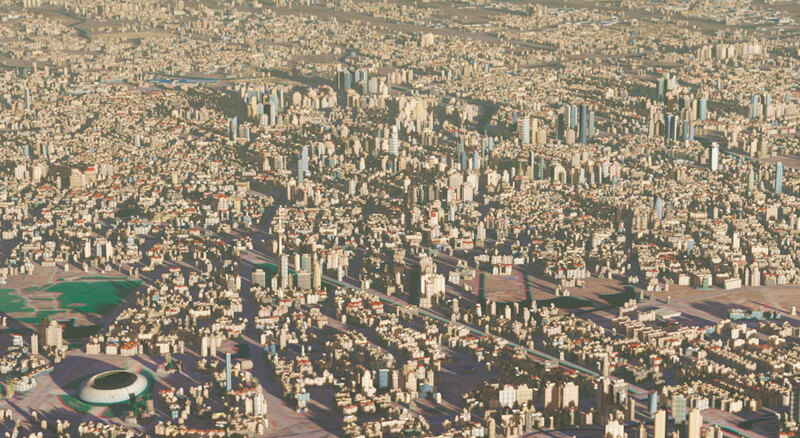 To model a big city like Tianjin, China, which has a population of almost 12 million, Janil can write fairly simple rules in CityEngine and then deploy them onto very large areas. Romain Janil, a 3D artist based in Paris, France, works with industrial aviation companies to make flight simulation as realistic as possible. 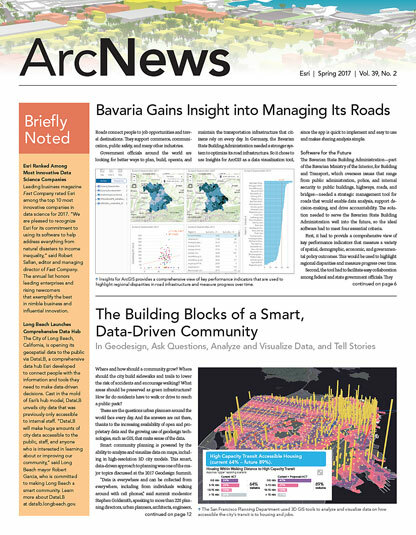 He uses Esri CityEngine 3D modeling software to populate terrain databases with buildings and other landscape elements in a pilot’s field of view. Janil said he developed a particular workflow that enables him to imagine and create a distinguishable and efficient terrain model. 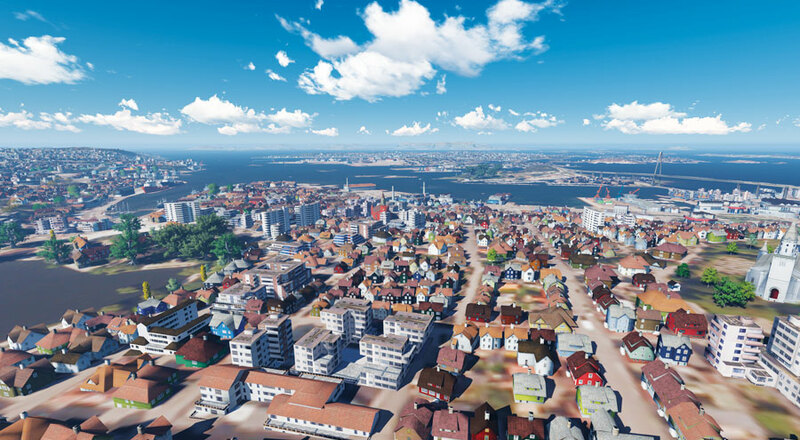 To help train civilian search and rescue helicopter pilots in Norway, Janil used Esri CityEngine to create a 3D replica of the southern Norwegian city Stavanger. Through the course of developing his workflow, Janil said he’s been amazed by CityEngine technology. Before he started using CityEngine, Janil did modeling by hand. Now, for each project he balances the more time-consuming work of hand modeling with work that can be done procedurally. CityEngine allows him to maintain high levels of both realism and simplicity. This saves Janil a considerable amount of time, especially for projects that involve a big city with hundreds of buildings and curious topology, as well as fields of view of up to 50 kilometers. For more information, email Janil or learn more about CityEngine.